Hand-drawn animated film based on the award-winning book by author and illustrator Raymond Briggs, telling the true story of Raymond's own parents Ethel and Ernest. 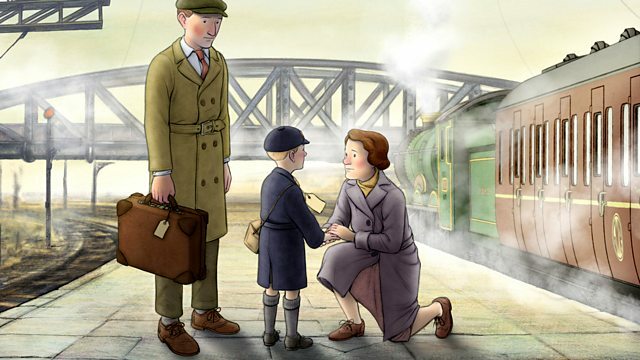 Based on the award-winning book by acclaimed British author and illustrator Raymond Briggs, this beautifully hand-drawn animated feature film tells the true story of Raymond's own parents Ethel and Ernest - two ordinary Londoners living through a period of extraordinary events and immense social change. Heartwarming, humorous and bittersweet, the film follows the lives of lady's maid Ethel and milkman Ernest from their first chance meeting in 1928, through the birth of their son Raymond in 1934 to their deaths, within months of each other, in 1971. From the socially stratified 1920s to the moon landing of 1969, the film depicts, through Ethel and Ernest's eyes, the most defining moments of the 20th century - the darkness of the Great Depression, the build-up to World War II, the trials of the war years, the euphoria of VE Day and the emergence of a generation from postwar austerity to the cultural enlightenment of the 1960s. Echoing the lives and concerns of the London working classes through momentous social and political change, Ethel & Ernest is a heartfelt and affectionate tribute to an ordinary couple and an extraordinary generation. Featuring the voices of Brenda Blethyn (Ethel Briggs), Jim Broadbent (Ernest Briggs), Luke Treadway (Raymond Briggs), Macready Massey (Teenage Raymond Briggs), Harry Collett (Young Raymond Briggs), Roger Allam (1930s Doctor), June Brown (Ernest's Stepmother), Karyn Claydon (Jean), Simon Day (Alf), Pam Ferris (Mrs Benet, Aunty Betty), Gillian Hannah (Midwife, Aunty Flo), Alex Jordan (1970s Doctor, Fireman), Virginia McKenna (Lady of the House), Peter Wight (Detective Sergeant Burnley) and Duncan Wisbey (Tailor, additional voices). Featured Artist: Choir of King’s College, Cambridge.